Many dive sites close to Cousteau’s own heart had since become world-renowned. But which were the great explorer’s top 10 favourites? 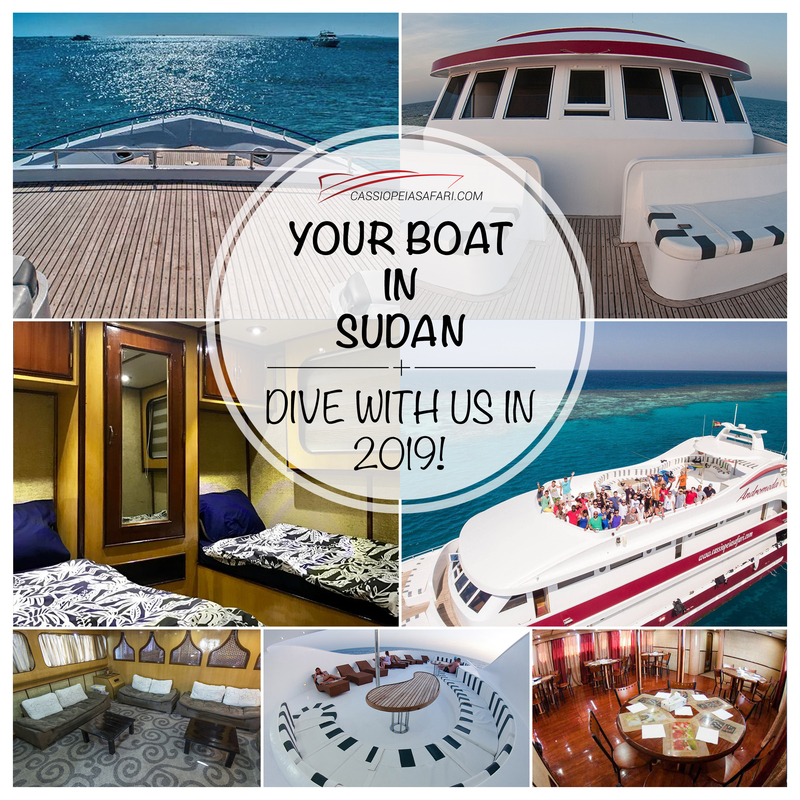 It is no surprise that Sudan’s Shaab Rumi made the list, after all, great experiences, and exciting work and discoveries connect him to this site. Marvellous diving and an Academy Award. Jacques Cousteau, also known as the father of scuba diving, not only loved diving in this region of the Red Sea, but he had made several discoveries as well. Jacques Cousteau, or Captain Cousteau to many, was a world-famous marine explorer who dedicated his entire life to marine discoveries. His main fields of interest bore not only great significance to science, but they also raised the curiosity of the general public. He garnered absolute fame with his underwater experiments he conducted in the beginning of the 1960s. Can man live underwater for a prolonged period of time? As part of his Precontinent II experiment, he spent a month living underwater, which they documented in a film. The film, titled “World Without Sun”, was awarded the Oscar in the category of Best Documentary Feature. It says a lot that of all the seas in the world, he chose the Sudanese Red Sea for his experiment. Though to those who had been to Sudan before, this is a no-brainer. One thing is for certain – Captain Cousteau had definitely managed to place Sudan into the psyche of divers. Anybody who had dived in Egypt before knows that the Red Sea is an amazing and excellent place for scuba diving. Yet, one cannot simply think that if they had dived in Egypt, they saw everything the Red Sea has to offer. Far from the truth, since the Sudanese Red Sea is exceptional and incomparable. 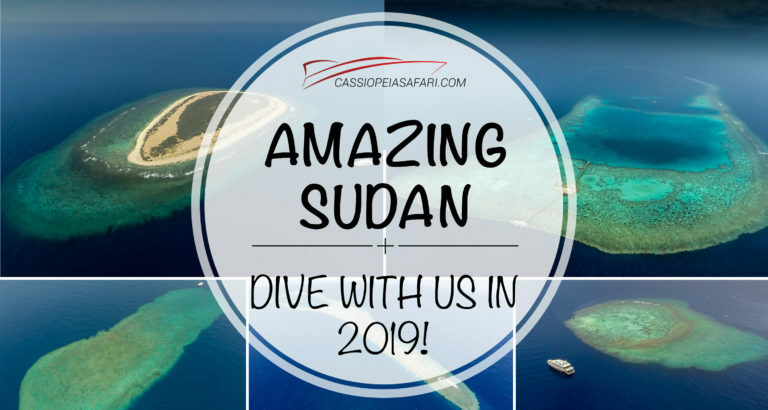 While you dive in the same Red Sea in both countries, the two experiences could not be any different. In Egypt hundreds of liveaboards sail the waters, but in Sudan this number barely reaches ten. 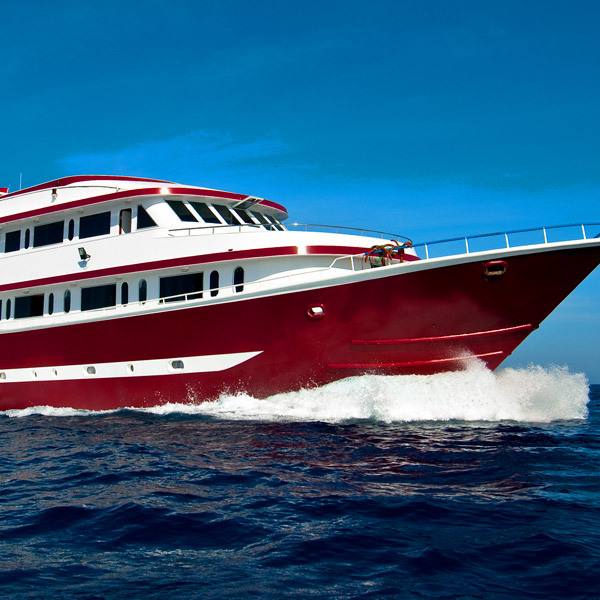 The result of which may be that during a liveaboard trip, you see no other boat in sight. Sudan hides the most gorgeous and most pristine coral reefs in the Red Sea that shelter an feed its entire marine life. 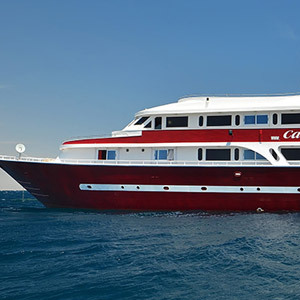 This is where you will find the Red Sea’s marine life at its most abundant. Sudan’s warm and crystal clear waters support over 400 species of corals, and over 1,500 species of fish, turtles, and sharks. Large fish live here in large numbers, many of which are rare and even endangered. Here you will always see barracudas, spotted rays, morays, and giant parrotfish, to name a few. The coastal waters of Sudan are also ranked among the top sites for shark lovers. You will encounter grey reef, silky, hammerhead, white-tip, and whale sharks in this region. And now would be a good time to mention that you can visit more of Cousteau’s favourite sites with us, like Mexico (Socorro and Guadalupe).